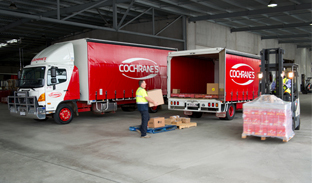 Cochrane's is a proudly South Australian family-owned express logistics business, servicing all of South Australia, Mildura and Broken Hill. We have been meeting the needs of many iconic state and national businesses for over 40 years and deliver for most of Australia’s national transport companies. 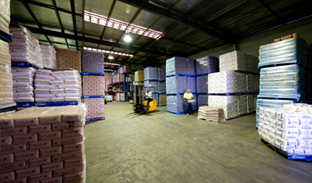 Through acquisition and service expansion, we have grown to become the leading express transport provider to regional South Australia together with a significant metropolitan fleet that is able to provide cross-docking delivery solutions for companies who do not need or want fixed cost infrastructure in Adelaide. Our acquisitions of key strategic businesses such as Hutchcorp, Northern Kope and the North South Central customer base demonstrates our commitment to investing in the South Australian network, while we continue to look at other opportunities that will support our customers and strengthen our service capacity. In 1974, Peter and his wife Christine purchased a contract to deliver the Australian Women's Weekly in Adelaide. Seeing the opportunity to co-carry other magazines and newspapers, the business quickly developed into the leading print media distribution provider in South Australia. Over time, pick/pack operations were added to our suite of services, however the business recognised the need in the market to establish a cost effective express distribution model to regional areas. The business diversified to included warehousing, express freight and inbound cross-docking services from other states as well as a significant metropolitan capability. While we still deliver the Australian Women's Weekly and will never forget our origins, the opportunities for the future are much broader and very exciting. 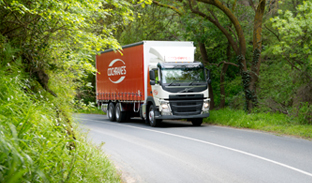 I've had a long association with Peter Cochrane Transport, dating back more than 12 years. Their delivery practices suit the requirements of our business perfectly, meeting our high expectations for on-time, every-time delivery. They have proven to be flexible and professional, ensuring the ongoing success of our operations.